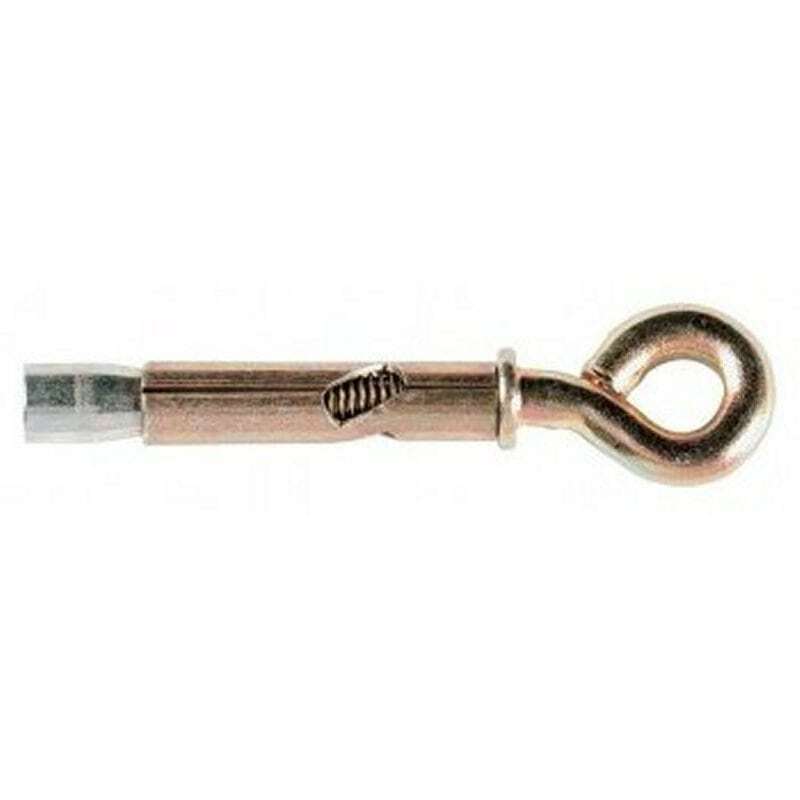 The eye bolt sleeve anchor is a thin walled sleeve anchor suitable for use in concrete, stone, brickwork, perforated bricks and dense concrete blocks. The diagonal slot enables the small gaps to be pulled down and a positive clamping force to be exerted through the fixture. The eye bolt sleeve anchor is a thin walled sleeve anchor suitable for use in concrete, stone, brickwork, perforated bricks and dense concrete blocks. The diagonal slot enables the small gaps to be pulled down and a positive clamping force to be exerted through the fixture. Widely used for fixing balustrades, handrails, racking and holding down machinery, plus many more installation applications. Ensure the correct socket drive or spanner is used to ensure accurate installation.